The following is a list of categories for which contributions are needed as well as a brief description of each category. If you plan to create new articles for the wiki, please read the Wiki Quick Reference Guide to learn more about when and how to Create a new page. All contributions must be factual and are subject to review based on the Manual of Style guidelines and site Policies. Contributions that do not meet these criteria may be edited or removed. To see what is needed in a specific category, simply click on the Heading. A page that needs fixing will usually contain general information that has not been written into an article yet, needs editing or the article needs to be rewritten. Pages that need to be written into an article are in the stage of information gathering before being created. A page will need to be edited if there are improper or missing links, bad grammar, spelling errors or misinformation. A page needs to be rewritten when the information in the article is presented in a jumbled fashion or the page is written in an informal style. Pages with missing information usually need data such as new pages that still need information gathered, specific level goals, old event information etc. Pages without proper images either having missing images or images that do not meet the Manual of Style requirements. The most common error made with images is improper or no cropping. Improper images need to be replaced or edited to meet the Manual of Style. Wanted Files are images that are needed on the wiki. 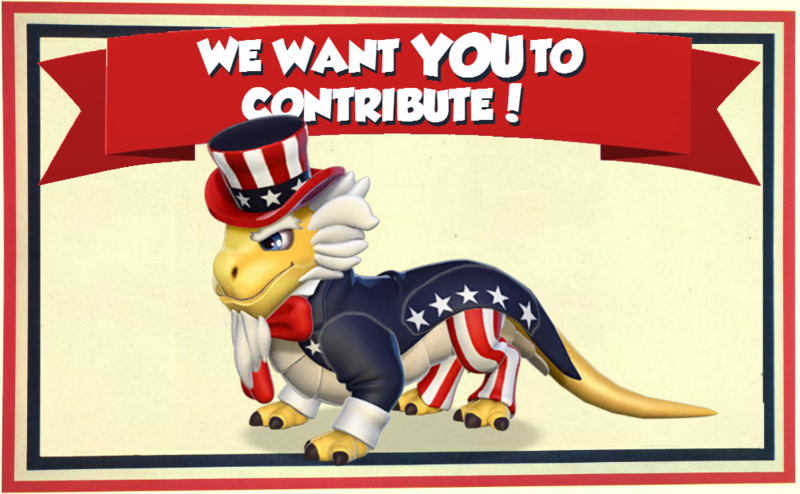 These are usually missing images of Dragons that have been mentioned in-game or by Gameloft but have not yet been seen or Dragon related images such as Dragon Eggs, buildings of a specific level or images of specific upgrade information. Wanted Pages are articles that are needed on the wiki. These usually include new content brought by recent updates or just missing events. Descriptions are needed for Dragons that do not have them. A guide on how to describe Dragons can be found here.